d, Adopts three Germany gauges and safety valve for multi-safety protection. 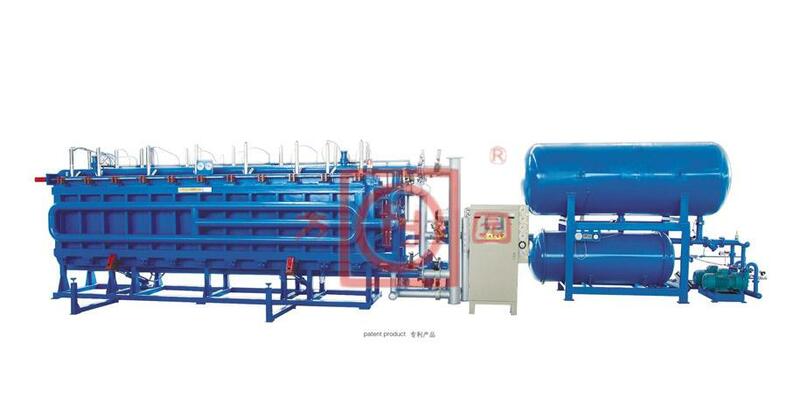 The machine will be tested by water pressure and steam (many steps), ensure the machine more stable and safety. b, Equipped material level sensor to control the filling. The block cooling is controlled by foam pressure sensor; The whole procedure for filling, heating, cooling will be automatically by PLC. The economical type can be provided, but Germany gauge, foam pressure sensor, ISO-standard butterfly valve, three valves steam system are exclusive.